One of my most favorite (and most feared) days as a classroom teacher is Valentine's Day. High emotions plus incredible amounts of sugar are always a tricky combination and I never know what to expect. 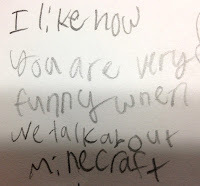 One activity I love doing every year is having my students write anonymous positive notes to their classmates. It's a very powerful activity, and one that my students tell me is among their favorites at the end of the year. I start by having each student write their name in the middle of a piece of white construction paper. After a quick meeting to brainstorm positive thoughts and set expectations, students have one minute to write their note and then rotate their classmates' papers. Papers travel around the room for about 30 minutes and finally make their way back to the original student. During my prep time, I take a moment to write a note for each student, too. You are confident whenever it comes to a problem. 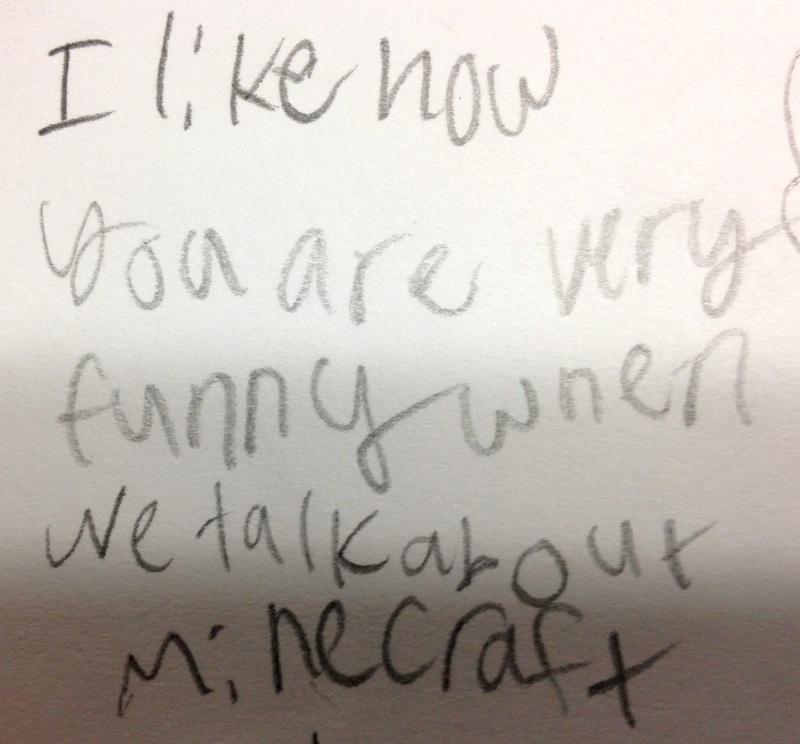 I like how you are very funny when we talk about Minecraft. I know you care by the way you speak. When things don't go your way, you just grow stronger. I love the anonymity and total honesty of these notes. During our debrief, my students shared how much they enjoyed this activity because it demonstrated that deep down everyone in class really cares about each other. Even more shocking for some students was the ability to say something positive to another classmate even if they weren't close friends or got along well. It left us feeling connected and happy, and I know my students will treasure this experience for a long time. Every day I see how hard you work for your students and your family, always putting others' needs before your own. You are a rockstar and are doing amazing things. I am honored to know and work with you. I only hope that I can be as good of an educator as you. I don't know you personally, but I wish I did. I am inspired by every post you write. You bring such positivity to the education world. I would love to be a fly on your classroom wall. The way you talk about your students is incredible and I love how you are never afraid to take big risks. You are a person and an educator I routinely look to for inspiration. I admire your creativity and dedication, and have no doubt you will go far. I sure wish our paths crossed more often, but I hope you see yourself in the wrinkles. Thank you for believing in me and throwing me into things I wasn't sure I could handle. I really appreciate that. Spread the love, friends. I encourage you to write a positive note to someone you think is pretty rad. What would you say? I really admire your curiosity, your determination, and your willingness to attempt great things. You are courageous and growth-oriented. I always look forward to creating with you. Wow! Thank you for those kind words! My class from Brewer, Maine would love to do a mystery Skype with your class. We participate in Chatting Across the USA but have not done a mystery skype this year. My email address is cmacinnes@breweredu.org. I look forward to hearing from you!